Ian is based in Medway and will cover all surrounding areas including, Maidstone, Sheerness, and Sittingbourne, with a flexible approach on lesson times Ian can meet the needs of his students with a variety of lesson times to suit all. Ian offers a friendly and clear informative & productive lesson in a relaxed atmosphere. 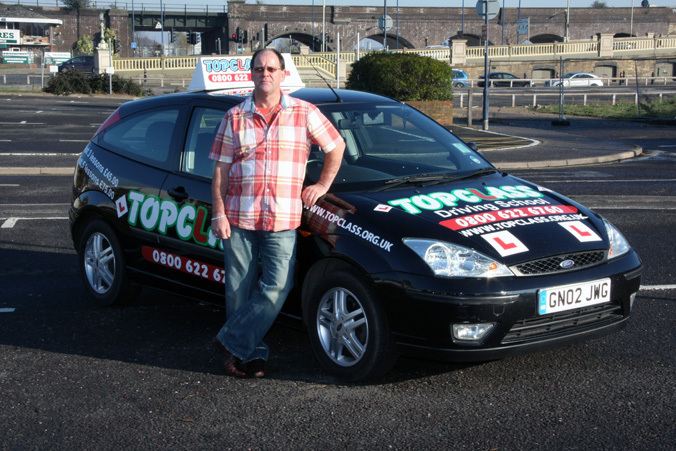 Ian is qualified to teach from complete beginners to Refresher courses for qualified drivers who may just require a lesson or two. With over 30 years driving experience from Motorcycles to Tanks to Class 1 Haulage to 44 Ton Articulated Lorries Ian has covered many aspects of driving and vehicle control. Ian has been a fully qualified ADI for 4 years and being the father of 2 daughters has an understanding and patient nature, as well as a great sense of humour. Ian’s hobbies include Golf and gardening.